I don’t normally cover products from vendors, be it an established company or a startup. But this one is different because it’s another great success story of how the open source vijava API project helps the community to succeed. Louis and his team approached me about two years ago and started to use vijava API in their product development. After that, we had several meetings/calls/emails and product demos. Therefore I knew their product was coming along. But I could not formally talk about it because it’s not yet released. 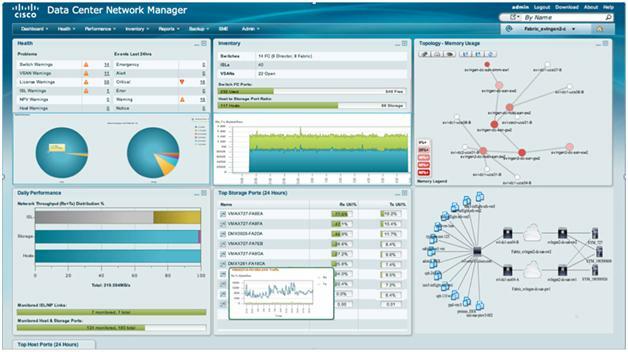 From a high level, DCNM is a combination of two: Cisco Fabric Manager and Cisco Data Center Network Manager (DCNM) for LAN. Since the purpose of this article is not to introduce the product itself, I will just show you the following screenshot and leave the rest for you to check out: product site, and two page introduction in PDF.